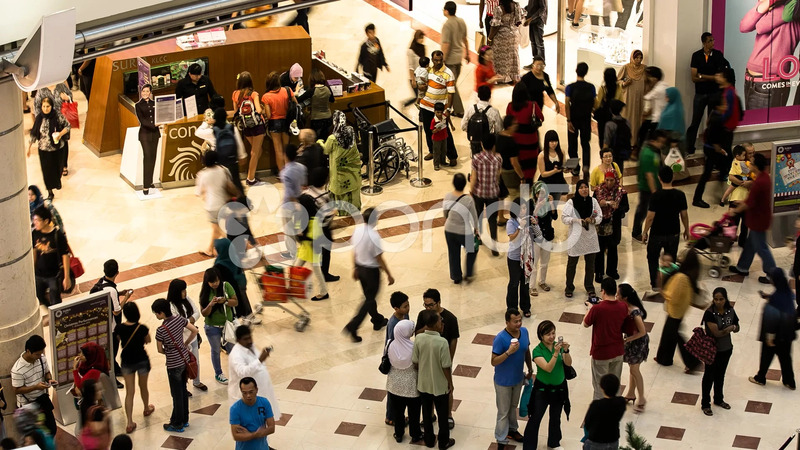 Description: A high angle timelapse of people inside Suria KLCC Mall. The mall is one of the famous shopping complex in Kuala Lumpur, Malaysia. Information desk and wheelchairs can also be seen in the footage.